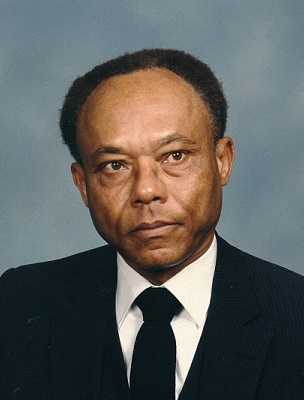 Obituary for William Milton, Jr. | House of Wheat Funeral Home, Inc.
MILTON, Jr., William, age 86, born October 21, 1932 in Uniontown, Alabama, passed away Friday, March 29, 2019. He served as a military policeman in the U. S. Army during the Korean War. He retired from Ohio Bell as a member of the Foreman’s Club of Dayton and the secretary of the Credit Union. He was a longtime member of the Harmony Lodge of Dayton. William is preceded in death by his parents, William Sr. and Amanda Milton; wife of 47 years, Daisy Milton; stepmother, Rebecca Milton; brothers, Joe and Willie Milton. He is survived by brothers, Robert Milton, Uniontown, AL, Solomon Milton, Pittsburgh, PA; sister, Juanita Johnson, Dayton; many nieces and nephews who knew him as “Uncle Tip” and “Uncle Milt”, cousins, other relatives and friends. Funeral service will be held 10 am Thursday, April 4, 2019 at the House of Wheat Funeral Home, Inc., 2107 N. Gettysburg Ave. Visitation 9 am at which time family will receive friends. Interment Dayton National Cemetery. The family sends a special thank you to the staff of Spring Hills Singing Woods and Kindred Hospice for their care and attention to his needs.